Make math more fun and meaningful with our fall math worksheets! These worksheets can be used for a variety of preschool or early elementary learning levels. Our instructions are simply guidelines. Click on the images below to view and print full size. 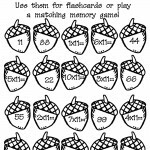 Looking for more math worksheets? 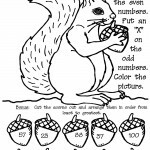 Check out our entire collection of math worksheets for preschool and elementary school age children. Or make your job easier with instant teacher worksheet software!